Better than a back-stage pass for a super-group rock concert. 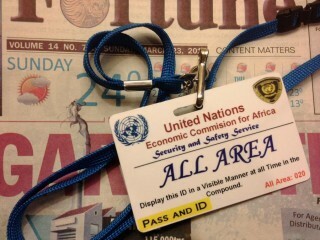 The United Nations Africa Hall project, Addis Ababa, Ethiopia. Designed by architect Arturo Mezzedimi, the building was constructed from 1959 to 1961 and is recognised as a significant building throughout the African Nations.